Diseases And Conditions | Your Health. Your Lifestyle. 90% of the population complains of a cranial twinge at least once a year. And while most headaches likely stem from lack of sleep, stress, dehydration, or certain foods, they may derive from less–than–benign causes — such as concussion, encephalitis, hypertension, and brain tumors. Recent studies even show that migraines may raise the risk of stroke in women by as much as 70%, especially for those who experience vision loss during an episode. Get medical attention if you experience headaches that disable you, intensify during activity, coincide with seizures, dizziness, or extreme vomiting, or persist after a fall. Take an aspirin, or try dabbing peppermint oil on your temples and forehead, which studies show may mimic the effectiveness of conventional pain relievers. anging from mild “winter blues” to more severe depression–like symptoms, Seasonal Affective Disorder may hit up to 10 million Americans annually, between September and April when daylight hours decrease. Research indicates SAD rates rise for populations farther from the equator; some believe the condition stems from lack of exposure to natural sunlight, disrupting biorhythms and brain chemicals. Ever felt that burning sensation creeping up in your chest? More than 60 million Americans experience gastroesophageal reflux disease (GERD) at least once a month. But indigestion doesn’t have to have the last word. Before you pop that next antacid, consider these tips for tackling heartburn before it starts. Break slow. Gulping down a quick morning meal stirs up stomach acid. Instead, get up 10 minutes earlier and sit down to eat. 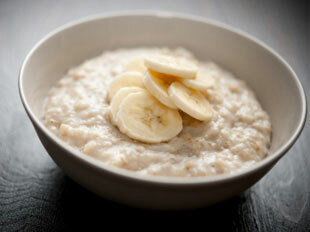 One of the best breakfasts for suppressing symptoms: oatmeal with sliced bananas or applesauce — the bland nature of both the fruits and high–fiber cereal are easy on your belly. Sprinkle with a little ginger, which has anti–inflammatory properties believed to calm upset tummies. Steer clear of the red zone. Tomato sauce, salsa, even ketchup can trigger acid reflux. If you’re experiencing symptoms, go with light broths — which are mild but flavorful — and avoid spicy dishes. But even if it doesn’t flash that ruby color, don’t be deceived. Heavy sauces like Alfredo and gravy can be just as potent. Incline and decline. Avoid lying flat on your back. Propping yourself up with an extra pillow can help refuse acid’s attempt to bubble up. Be especially mindful of what you eat and drink before bedtime — chocolate, alcohol, coffee, and carbonated beverages can not only disrupt your sleep, they stir up reflux. 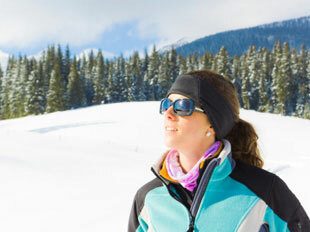 Mental imagery: A Stanford University study confirmed that visualization can help patients curb pain. One woman increased then successfully decreased the intensity of her pain, represented by a flame on a computer monitor, by imagining water rinsing it away. Assign a tangible symbol to your aches and see a counter response — a fire being doused, a knotted rope becoming untangled, or daggers dissolving away. Biofeedback: This process pinpoints triggers that intensify physical response and alterations to manage them. Aim to recognize movements and external factors like stress that influence your pain so you can identify where to make changes. 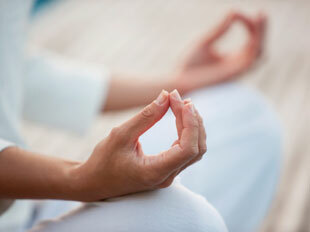 Meditation/hypnosis: Numerous studies show that emotional and mental states affect physical well–being. Contemplative exercises can reduce the tension that makes pain worse and redirect attention — like a pregnant woman concentrating on a focal point while in labor. Practice by listening for specific sounds such as a bird’s chirp, or examining the intricate details of a small object like a raisin or rock, all the while breathing with deliberation. Move more. Those with joint aches may feel exercising will only make symptoms worse, but many experts assert that staying active can help by peeling off the excess pounds pressuring your joints and strengthening the surrounding muscles and bones. Move safely. When lifting weights, don’t pick up more than you can handle and avoid locking your joints. Also, cushioned shoes can absorb shock to your ankles and knees when running and walking. 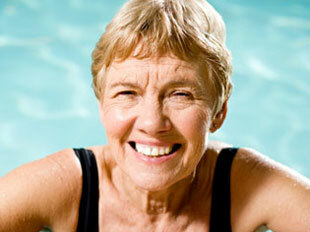 Activities like swimming and using elliptical machines create less strain. Oil up. 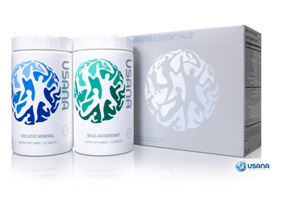 Lubricate your joints with the omega–3 fatty acids found in fish oil, believed to reduce stiffness and inflammation. Glucosamine and chondroitin supplements may improve cartilage fluid and limit joint decline.